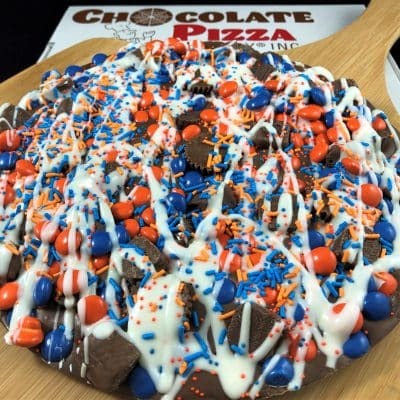 More good times have been enjoyed around “pizza & wings” than perhaps any food in history – so why not take it to the next level! 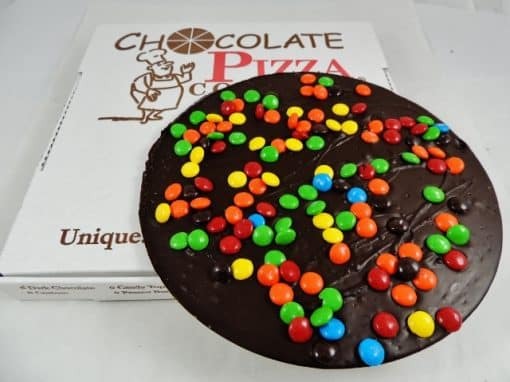 Whether you are having an important staff meeting, training session, conference, office celebration or just to surprise your team, the Staff Meeting will quickly become the go-to choice for adding something sweet. Watch the energy and attitudes improve and the smiles multiply. Two (2) large Chocolate Pizzas (25 oz. ea.) and two (2) large Peanut Butter Wings (16 oz. ea.) make the Staff Meeting something everyone notices and wants to taste. 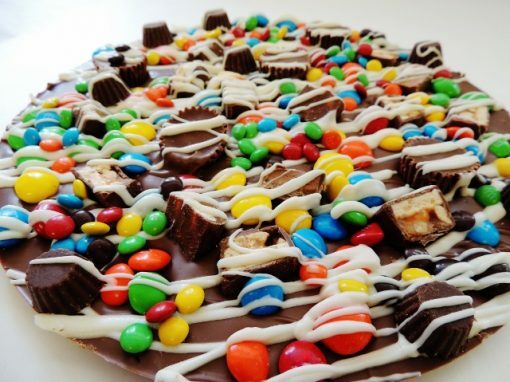 Choose from a delicious line-up of flavors and toppings (including the option to upgrade to Candy Avalanche Chocolate Pizzas) and then relax, people will absolutely love every bite and there is plenty to share. You might even have a little leftover to take back to your desk! 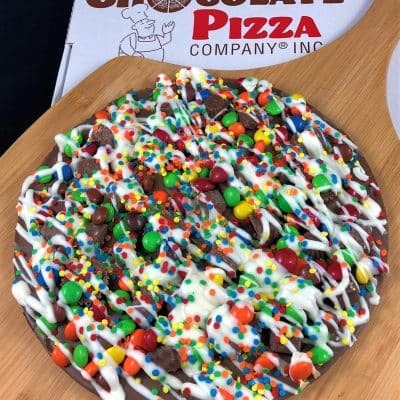 More good times have been enjoyed around “pizza & wings” than perhaps any food in history – so why not take it to the next level! 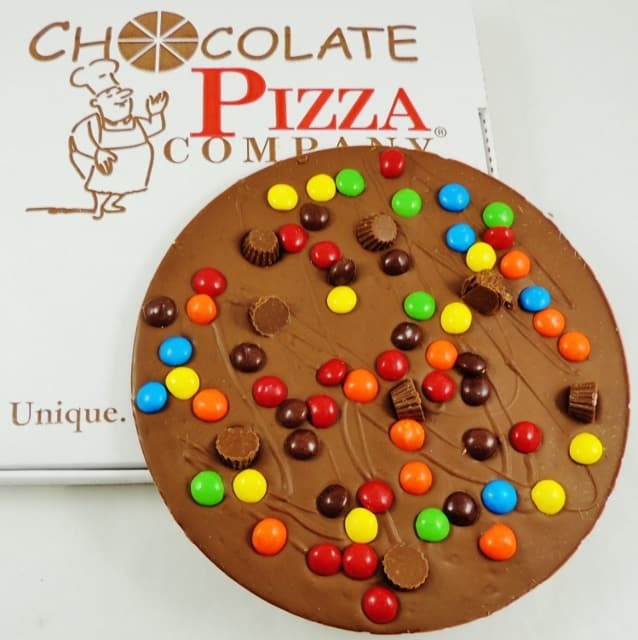 Whether you are having an important staff meeting, training session, conference, office celebration or just to surprise your team, the Staff Meeting will quickly become the go-to choice for adding something sweet. Two (2) large Chocolate Pizzas and two (2) large Peanut Butter Wings make the Staff Meeting something everyone notices and wants to taste. And there is certainly plenty to share (and maybe even a little leftover to take back to your desk!). Chocolate Pizza blends rich milk or dark chocolate with homemade English toffee and tops it with candies, nuts or just a white chocolate drizzle. 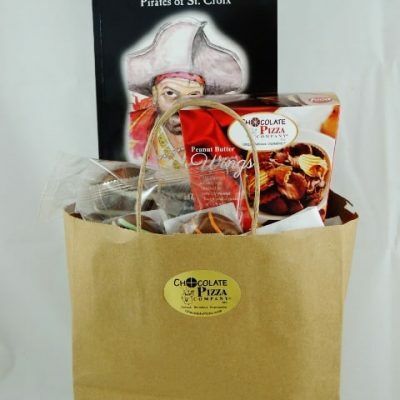 Served in a custom pizza box, it makes an immediate impression. 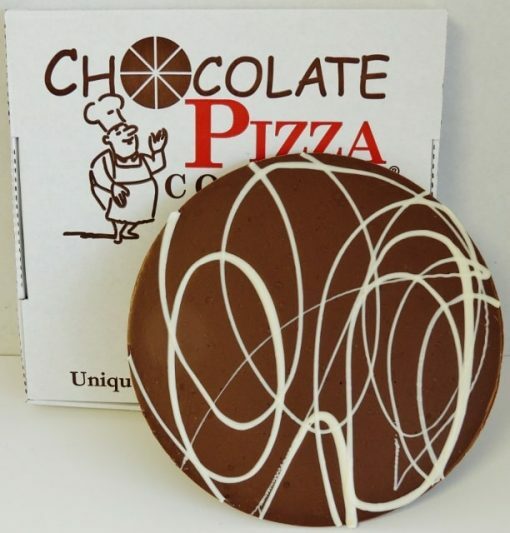 Choose from several varieties of Chocolate Pizza so you can cover a wide range of tastes. 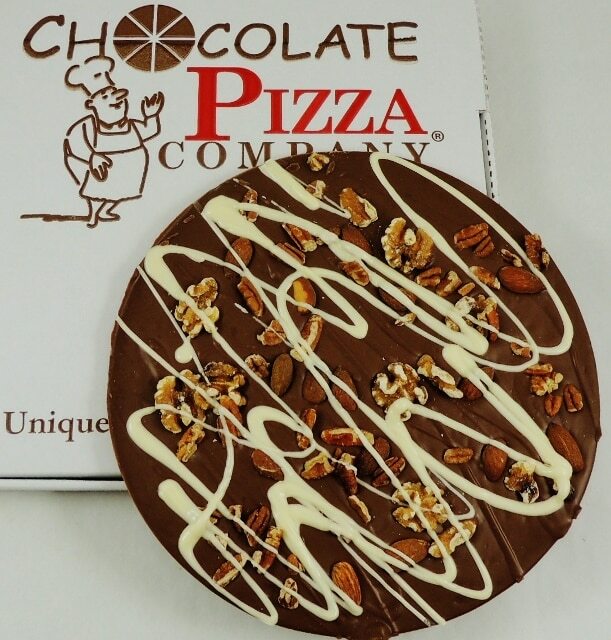 Each large Chocolate Pizza is 25 ounces and will serve about 10-12 people – just break it up and enjoy! Peanut Butter Wings are our famous complement to Chocolate Pizza and are a runaway favorite with their salty-sweet taste combination. 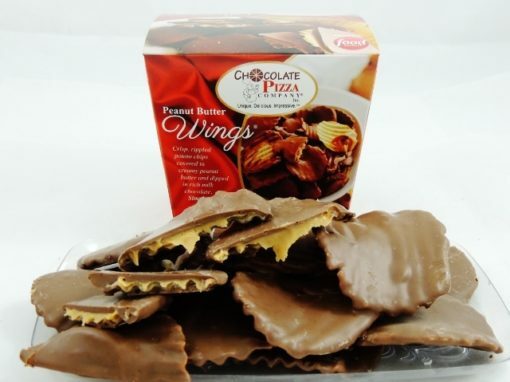 Crisp, rippled potato chips covered in creamy peanut butter and drenched in milk or dark chocolate make these a one-of-a-kind taste sensation. 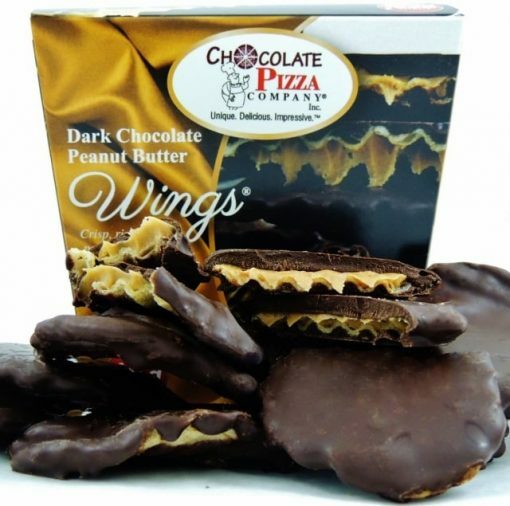 Each large Peanut Butter Wings is 16 ounces for a total of 2 pounds of Wings. 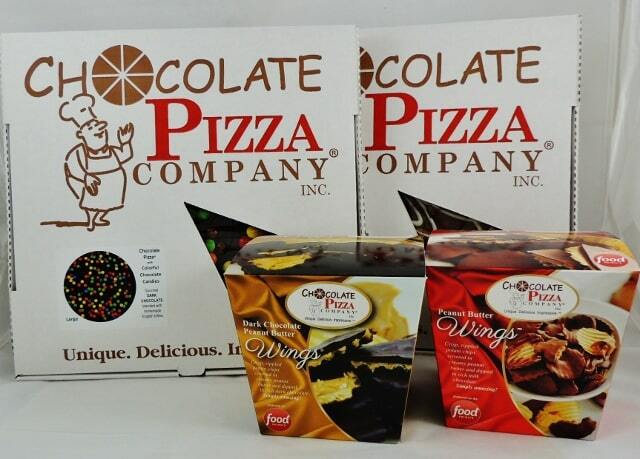 Chocolate Pizza Company has been making gourmet chocolate treats for nearly 30 years and is recognized nationwide as the premier maker of Chocolate Pizza and Peanut Butter Wings. 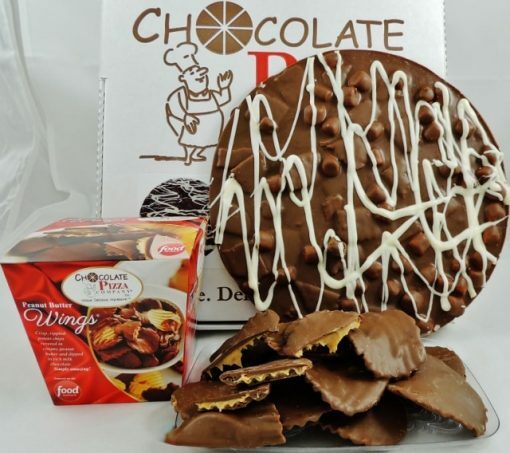 Smart business professionals know that adding a surprise food element to any staff meeting, training session or team gathering always makes a positive impression but that boost rises exponentially when you bring Chocolate Pizza and Peanut Butter Wings to the event. This is such a social snack – it’s made to gather around, break up and share with colleagues. There’s nothing like it and you’ll find yourself making it a regular part of your office.